How would you like to have words that turn your subconscious mind on like a light switch to create more of what you want? This may be better relationships, enhanced peace, creativity or abundance. Switchwords, created by James Mangan in the 1960’s, for many people, do just that. When I encounter people caught up in a scarcity and fear mentality, I want to instill their power back to them. Of course, each person must do this for himself or herself. I want to explain that speaking about what we want really serves us well. James Mangan gave us The Secret Of Perfect Living in the 1960s. Mangan explains that there are certain words that can be used with intention to get more of what we want. He coined the phrase “Switchwords.” These power words will turn on our subconscious like a switch with focused intent. Mangan spent 45 years of his life researching and finding these words for us. For those of us who connect with them, they are a wonderful tool for creating and enjoying life more. They help to lift our consciousness to a Divine state. They help release fear and put us back in our power. These words have been known to help people with all kinds of situations. I have a dear friend who called me upset because she was overseas in Paris, France and lost her purse. She was in a little shop and set it down. She walked away and soon realized it was gone. By the time she went back to find her purse, no one knew where it was. She called me crying and worried that she would be without funds for the rest of her trip. I told her to remain calm and say the Switchword “Reach” anytime she worried about her purse (Reach is the Switchword to find anything lost). Her credit card was canceled and she was sent funds to enjoy the remainder of her trip. Anytime she thought about her purse she said, “Reach”. She told me that she must have said “Reach” a thousand time. The next day the Paris police called her. They had her purse and wanted to make arrangements to return it. She called me ecstatic with the wonderful news. Her purse was returned with all her money and credit card in it. This is just one of many miracles created with Switchwords. Needless to say, “Reach” is one of my favorite Switchwords and I use it with success to find anything lost. I also use reach to get the best parking spots. Be sure to say Reach and forget about it, knowing you will find your object in Divine time. Attachment to the outcome slows the process. Switchwords may be said aloud or to ourselves. Obviously in public it is best to keep them to ourselves, as others negative comments or energy will dispel their power. TOGETHER – is the master Switchword. Together pulls together our conscious, subconscious and super-conscious mind to bring out the best in us — our God Self. Please use Together in all of your Switchword combinations, as it brings the whole creation Together perfectly. REACH – “Reach” is one of my favorite Switchwords. We may use reach to find anything we have lost. Simply say reach and go about your business. You will be guided to what you are looking for in the perfect time. Reach can also be used to reach emotional states like joy and bliss. PLETHORA – I discovered the word “Plethora” during a period when I wanted to constantly remind myself that there is more than enough of everything for everyone. Competition for resources is an illusion. There is a plethora of health, money and mates. FIND – “to find a fortune.” Say, “Find,” when you want to attract wealth and abundance. We will also benefit by using combinations of the Switchwords. Always use Together in your combos for great results. Feel free to create your own combinations of Switchwords, as the only rule is to enjoy the process. TOGETHER DIVINE LOVE – this activates love in any relationship or situation. It is perfect for solving fights and communication problems. This combination will create wonderful results when said to yourself or aloud with intention. TOGETHER DIVINE PRAISE – To make ourselves more physically attractive and stop finding fault with others. TOGETHER DIVINE FIND COUNT – this combination creates wealth and income when said consistently with belief. BE TOGETHER DIVINE – this combination may be used to attract vibrant health on all levels. TOGETHER DIVINE TIMING – if you ever find yourself needing things to move faster than they are, simply say, “Divine timing,” and remind yourself that everything is working out perfectly in the perfect time. If you go with the flow, important components to your success will fall right into place. Anytime you find yourself doubting your ability to succeed, say one of these Switchwords until you feel your energy shift. This is another great way of focusing your mind and energy now. As you practice this, you will notice these tools just come to you when needed. They will become a very good habit. 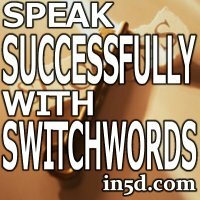 Switchwords are like anything else in that the more we practice and play with them the better we get. So be patient and let go of any attachment to results. You will soon find yourself becoming a Switchword Master and creating on levels you never imagined. Certain spiritual teachings can be very confusing when we first hear them, whether we are scientists, or not. When back in the 1970’s, the physicist Fred Alan Wolf created the evocative phrase “we create our own reality,” it sounded good, but gave rise to many disappointments. People tried to manifest fancy automobiles, vegetable gardens in desert environments, or parking spaces in busy downtown areas. Wolf based his phrase on the work of mathematician, John von Neumann, who first introduced the idea of the “collapse” of consciousness, which occurs when the quantum wave of possibility “chooses” one of its facets, which then becomes actualized. We create our own reality, yes, but we don’t do that in our ordinary state of consciousness, but in a non-ordinary state of consciousness. The paradox of Wigner’s friend, articulated by Eugene Wigner, a Nobel laureate physicist, helps to clarify this. Wigner approaches a quantum traffic light which offers two possibilities: red and green. Simultaneously, Wigner’s friend approaches the same light from the road perpendicular to Wigner’s. They both choose green, but their choices are contradictory. If both choices materialize at the same time, there would be pandemonium. Obviously, only one of them gets to choose, but who? An understanding of narcissism offers an insight as we go about trying to create our own reality. How could it be that only one person in the world is sentient, and the rest of us only exist within this person’s imagination? Three physicists independently resolved Wigner’s paradox. They were Ludwig Bass in Australia, myself at Oregon, and Casey Blood at Rutgers, New Jersey. The solution was simply this: Consciousness is one, nonlocal and cosmic, behind the local individuality of Wigner and his friend. Although both men want the green light, the one consciousness chooses for both of them, avoiding any contradiction. The one consciousness chooses such that the result dictated by quantum probability calculations is validated: Wigner and his friend each get green fifty percent of the time. Yet for any individual crossing, a creative opportunity for getting green is left open for each. In formulating my theory about this, the underlying question was: What is the nature of consciousness that enables it to be the free agent of downward causation without any paradox? The answer was: Consciousness has to be unitive, one and only for all of us. This oneness of consciousness is the basis of our theories about it. When my paper proclaiming this was published back in 1989, a University of Mexico neurophysiologist Jacobo Grinberg-Zylberbaum noticed it. Grinberg was studying novel transfers of electrical brain-activity between two people. Intuiting that my theory was relevant to his research, he asked me to visit his laboratory, check out his experimental set up, and the data, to help him interpret it. Soon Grinberg and collaborators wrote the first paper proclaiming a modern scientific verification of the idea of oneness of consciousness. The Good News Experiment: We Are One? Since then, four separate experiments have shown that quantum consciousness, the author of downward causation, is nonlocal, and unitive. Quantum physics provides an amazing principle to operate with—nonlocality. The principle of locality says that all communication must proceed through local signals with speed limits. Einstein established the speed of light as the speed limit. This precludes instantaneous communication via signals. And yet, quantum objects are able to influence one another instantly, once they interact and become correlated through quantum nonlocality. In 1982, physicist Alain Aspect and his collaborators confirmed this with a pair of photons (quanta of light). There’s no contradiction to Einsteinian thinking, once we recognize quantum nonlocality for what it is—a signal-less interconnectedness outside space and time. Grinberg, in 1993, was trying to demonstrate quantum nonlocality for two correlated brains. 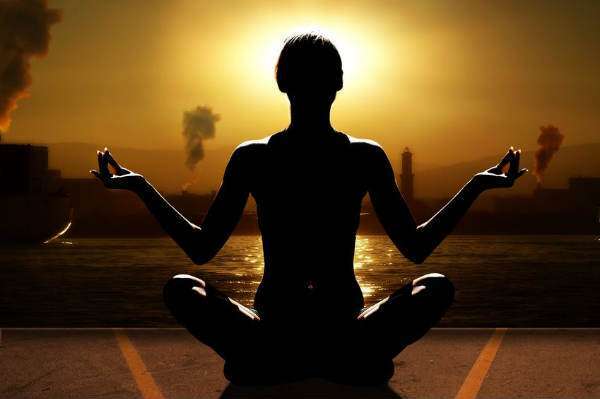 Two people meditate together with the intention of direct (signalless, nonlocal) communication. After twenty minutes, they are separated (while still continuing their unifying intention), placed in individual Faraday cages (electromagnetically impervious chambers), and each brain is wired up to an electroencephalogram (EEG) machine. One subject is shown a series of light flashes producing in his or her brain an electrical activity that is recorded in the EEG machine, producing an “evoked potential” extracted by a computer from the brain noise. Surprisingly, the same evoked potential was found to appear in the other subject’s brain, and viewable on the EEG of this subject (again minus brain noise). This is called a “transferred potential,” but is similar to the evoked potential in phase and strength. Control subjects (those who neither meditate together nor can hold the intention for signal-less communication during the duration of the experiment) do not show any transferred potential. Obviously, the experiment demonstrates the nonlocality of brain responses, but it also demonstrates the nonlocality of quantum consciousness. How else to explain how the forcedchoice of the evoked response in one subject’s brain can lead to the freechoice of an (almost) identical response in the correlated partner’s brain? 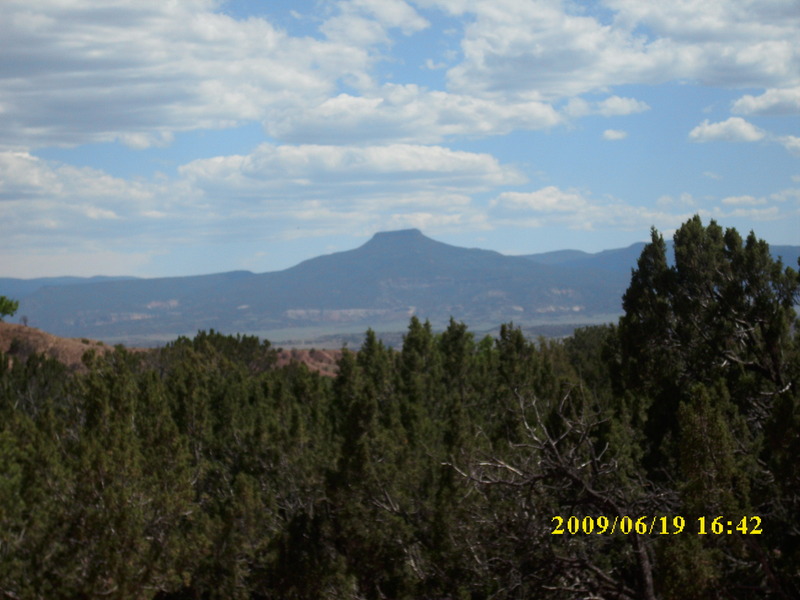 As stated above, the experiment, since then has been replicated several times by the neuropsychiatrist Peter Fenwick and collaborators in 1998 in London, by Jiri Wackermann et al in 2003, and by the Bastyr university researcher Leana Standish and her collaborators in 2004. The conclusion derived from these experiments is radical, and can integrate science and spirituality, Vedanta style. Quantum consciousness, the precipitator of the downward causation of choice from quantum possibilities is what esoteric spiritual traditions of many traditions call God. (In Sanskrit, Ishwara.) In a sense, we have rediscovered God within science. However it is within a new paradigm of science, based not on the primacy of matter as in the old science, but on the primacy of consciousness. Consciousness is the ground of all being which we now can recognize as what the spiritual tradition of Vedanta calls Brahman, and what esoteric Christianity calls Godhead, or Christ. Grinberg’s experiment also demonstrates the power of our intention, which parapsychologist Dean Radin has also studied. One of Radin’s experiments took place during the O. J. Simpson trial, when many people were watching the trial on TV. Radin correctly hypothesized that the intentions of the viewing audience would widely fluctuate depending on whether the courtroom drama was intense or ho-hum. This activity, he theorized, might influence random number generators. Radin asked a group of psychologists to plot and note down in real time the intensity of the courtroom drama. Meanwhile, in the laboratory, Radin measured the deviations of random number generators. He found that the random number generators maximally deviated from randomness precisely when the courtroom drama was high. What does this mean? The philosopher Gregory Bateson said, “the opposite of randomness is choice.” So the correlation proves the creative power of intention. In another series of experiments, Radin found that random number generators deviate from randomness in meditation halls when people meditate together (showing high intention), but not at a corporate board meeting! I’ll bet you’re wondering how to develop the power of intention. We all try to manifest things through our intentions, sometimes they work, but less often than not. This is because we are in our ego, rather than higher consciousness, when we intend. But how do we change that? I propose a four stage process: An intention must start with the ego since that is where we ordinarily are, local, selfish. At the second stage, we intend for everyone to go beyond selfishness. We don’t need to worry, we haven’t lost anything. When we say “everyone” that includes us, too. In the third stage, we allow our intentions to become a prayer: if my intention resonates with the intention of the whole, of quantum consciousness, then let it come to fruition. At the fourth stage, the prayer must pass into silence, become a meditation. You may have seen a recent movie, The Secret or have read a book by the same name. The movie talks about the secret of manifestation through our intention. The main message is good. To manifest, the book and the movie teach us, not only do we have to actively intend, but also have to learn to passively wait. Maybe the intended object will come to us. That’s why I too recommend that we end in silence, waiting. If we wait too long, however, we may forget what we were intending. So we cut short the waiting and be active again in our search. In this way the real secret of manifestation is an alternation between doing and being. I sometimes call this a do-be-do-be-do lifestyle. In India, we are in a be-be-be lifestyle, haven’t you noticed? In America and the West, of course, it is do-do-do. The connoisseur of manifestation via intention-making takes the middle path, do-be-do-be-do. There is one final secret: How do we know what consciousness intends so we can align our intention with it? The answer is creative evolution. Consciousness intends to evolve us toward greater good for everyone through creative evolution. Alchemy and the Philosophers’ Stone are real. This is not a joke or a scam. This book covers the full theory and practice of alchemy and how to make the Philosophers’ Stone, capable of reversing the aging process and curing all disease to the effect that one could live forever. This is an ancient secret which has never before been publicly released. Please read the book before making any judgement on it; this world is not what it seems to be. The Book of Aquarius is free and public-domain (no copyright). You may copy and distribute the book in any way. Always begin with gratitude. This is the wisdom advice that comes to us from many of the world’s indigenous and contemplative teachings. In this spirit, we begin our first blog for The Huffington Postexploring this profoundly transformative spiritual practice, and invite you to join us in taking this powerful awareness and action into your heart and onto your path of deepening spirit in daily life, work, and relationships. The practice of gratitude antidotes two root sufferings that pervade the human experience. The first can be characterized as a feeling of “insufficiency” — not having enough or not being enough. This fundamental sense of dissatisfaction opens the way to the second kind of suffering — being incessantly busy trying to get more or be more in order to somehow fill this inner feeling of discontentment and lack. Hands to Heart Center: There are times when we are feeling stressed or overwhelmed in our daily lives. This is a time to stop, stand firmly on your two feet, take a deep breath, and bring your hands to your heart center with palms together or cross your hands, one on top of the other. Take a moment to feel your heart, to listen to your heart, to be with yourself. Connect with the energies of the Earth and the Universe and feel the light all around. As you connect with all things, you can see the true meaning and importance of WHO you are. You can accomplish anything as long as you stand firm in WHO you are and act from your heart. You will find more clarity and better perspective. While you are firm within your heart, take a moment to look at your priorities. Then breathe deeply and move on with your day. INTENTION: By connecting with my heart, I find my inner power. It is time for a change! But change does not have to be drastic. Big shifts and renovations can start with changing one little thing. Take a look at the room you are in. Everything has its place. It is time to take one item and move it to a different place. Then walk out of the room and back in again. Take a look around. Everything is different! By changing one little element, you have changed the whole room. And a change of one small thing can be the stepping off point for major shifts, realignments, and new perspectives. INTENTION: By doing one thing, I make a difference in everything;.